The southern continent is shaped by Earth and Air, the element of the East. Dryland and deserts cover Lozir, some sandy, others rocky, or made of salt; proper states only exist along the waterways. 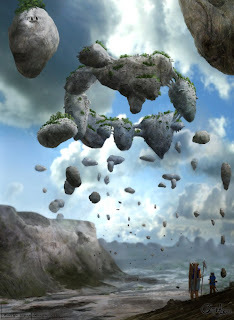 Lozir is rich in valuable minerals, among them the famous floating stones used in dust ships. Traffic is bustling along the waterways, and Lozirian crafts are known for their quality. 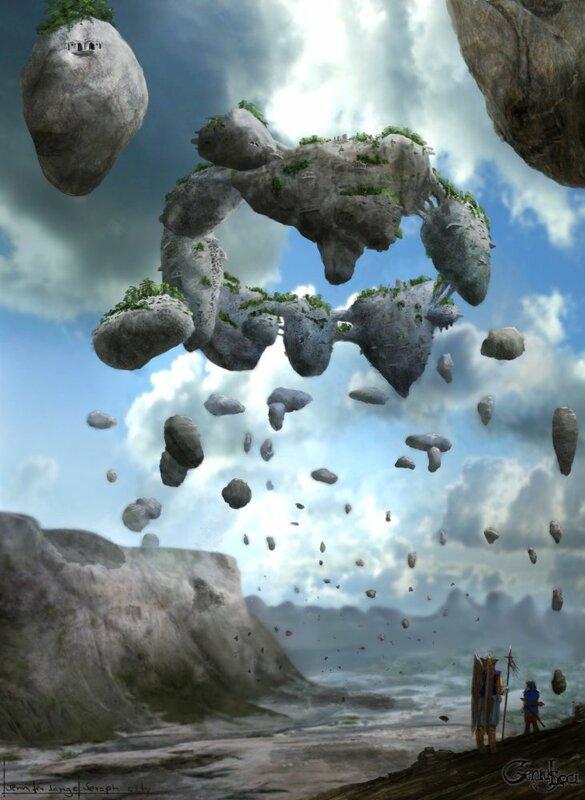 "Some expect Lozir to be quiet, but the sands mumble, the rocks sing, and the wind jubilates. Still, quiet enough that many a wise man seeks solitude in the inner deserts, where according to legend, forgotten peoples survive, ancient cities slowly decay, and the traveller may find untold wonders - or dangers. Sometimes, they are one and the same." Lozir's hot areas are packed with garren, and raganaj enjoy the lively winds. Humans are of the dark-skinned southern type. The famous glass plains of Brunnavah are in the southeast, a relic of the speaker war a hundred and twenty years ago: almost the entire plains in the backlands of the country were transformed into clear glass, engulfing many fighters. It is rumoured a genius loci resides in its middle. Other sights worth seeing include the engineering school of Bargassa, the galwanian opera, and the ancient, beautiful spires of Gianbaldee. Each continent is differently mysterious. In Lozir, there are vast empty lands that hold wonderful surprises. I feel about Lozir as a stage for adventure stories like Indiana Jones - some long-forgotten tribe lurking in the unforgiving wilderness, ruins of advanced civilizations long since forgotten, holding treasures... caves! Subterranean monsters! Emery storms! And yes, earth and air are indeed the same element in Genius Loci. "Scientifically", they represent the unliving foundations without which nothing could be.